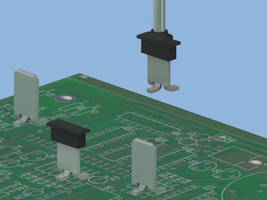 Keystone Electronics has introduced a new product line to its diverse selection of Quick-Fit PCB terminals. 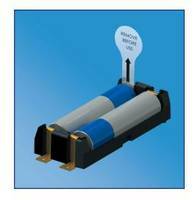 These new male tab terminals are specifically designed and packaged for use with vacuum pick-and-place equipment in the same manner as other surface mount components. 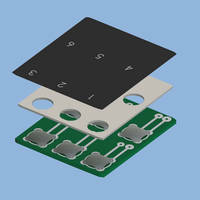 These SMT terminals reduce assembly time by being mounted and processed the same as other SMT components on a PCB. 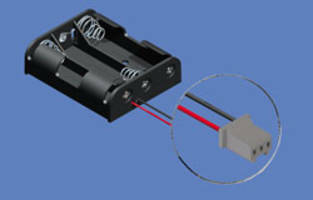 Their three-legged design increases the force necessary to deflect the terminal – keeping and maintaining the terminal perpendicular to the board during and permanently after soldering. Manufactured from Brass with a Tin-plate, the new Quick-Fit surface mount terminals ensure easy reflow soldering for reliable solder joints. Supplied on 13” tape and reel packaging with high temperature Nylon pick pads for pick and place assembly. Caps may be easily removed after the reflow soldering process. Request Cat. No 4928TR for tape and reel packaged product or Cat. No 4928 for loose piece, bulk packaging. Availability is from stock through Keystone’s global distribution network. Online ordering is accommodated. A major manufacturer of interconnect components and electronic hardware, Keystone’s capabilities include stamping, machining and assembly services. Application engineering assistance for product modifications and special designs is also available. ISO-9001 certified and RoHs compliant, company headquarters are in the USA with offices in Canada, Europe, Australia and Asia. For more information contact (800) 221-5510 or (718) 956-9800; Fax (718) 956-9040; Email: kec@keyelco.com or visit www.keyelco.com. 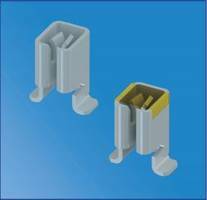 Battery Insulating Pull Tabs are manufactured from flexible polyester. 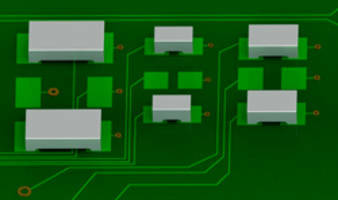 True Zero Ohm SMT Jumpers meet ANSI/EIA-481 standards. Battery Holders feature nickel plated spring contacts. Key Pad Dome Switches feature four legged shape.